Watch the Official movie trailer The Book Thief 2013 starring Geoffrey Rush, Emily Watson, Sophie Nélisse. The Book Thief is directed by Brian Percival and it is based on the beloved bestselling book. 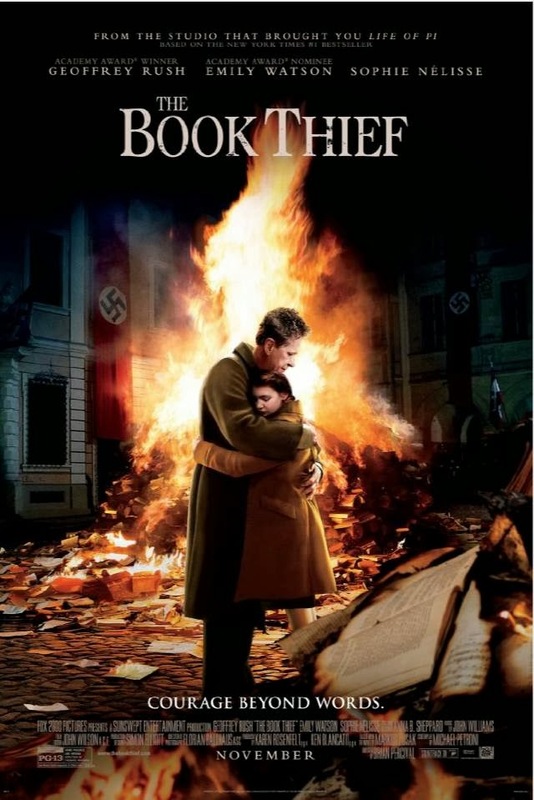 Synopsis: The Book Thief is a inspirational story of a spirited and courageous young girl who transforms the lives of everyone around her when she is sent to live with a new family in World War II Germany. While subjected to the horrors of World War II Germany, young Liesel finds solace by stealing books and sharing them with others. Under the stairs in her home, a Jewish refuge is being sheltered by her adoptive parents.